This week we’ll try to solidify the content of the last couple of months with an overview of the Developmental Approach to autism spectrum disorders. 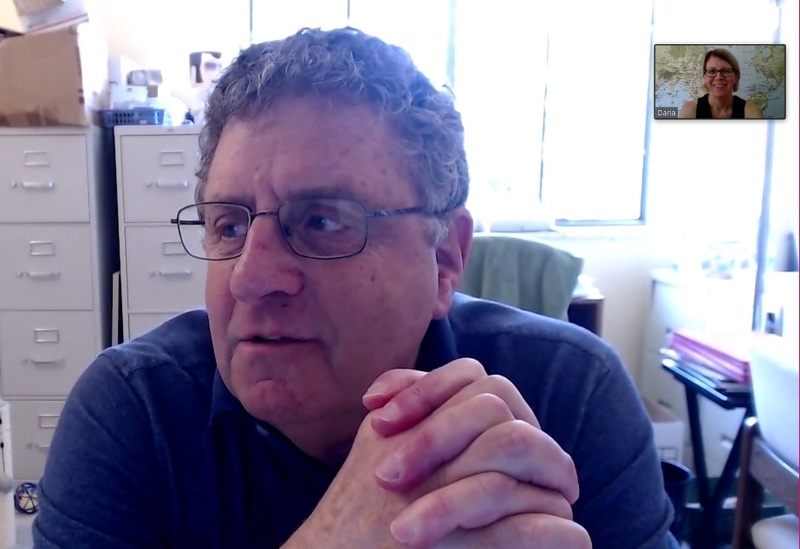 We discuss the Developmental, Individual differences, Relationship-based (DIR) model with our guest, Dr. Ira Glovinsky. He is a DIR/Floortime Expert who has a psychology practice in Michigan. Dr. Glovinsky also co-leads the PhD program in Infant and Early Childhood Development, founded by Dr. Stanley Greenspan as the ICDL PhD Program that is now offered at Fielding Graduate University. It is presently the only doctoral program in the world that offers a degree in early childhood development with an emphasis on mental health and developmental disabilities. Dr. Glovinsky spoke with me for this week’s featured podcast. What caregivers have to do is re-define their definition of play. Unless you have the visceral (the body) experience of “calm”, you can talk to a child about calming down until you’re blue in the face; the child’s not going to know what it is. That’s like throwing a rock in a pond and watching the ripples go out further and further and further. We can do the same things in intervention. It’s like trying to stop the water flowing over Niagara Falls with a branch…what’s happening is that the emotional system is so activated that the child can repeat those words, “don’t do this, don’t do that” but the emotional system is over-riding it and the child can’t stop himself or herself from doing it in that moment. This is a we, not a him or a her and his or her behaviour. This is a we, and we are a system, and in this system we each affect each other…we’re in it together. Something that I do is going to affect you and you’re going to respond to it, and it’s going to affect me, and I’m going to respond to it and it’s going to affect you. 52:35 What to do when one parent is all for the developmental approach but the other parent is not! I’m on one side of the table and you’re on the other side of the table and we’re a system. And when I serve the ball, I don’t have a clue what you’re going to do with it, but I can’t do anything. I have to wait for your response. You can hit it hard, you can hit it soft, you can slice it. You can do anything. But you’re going to bring it back to me. The ball’s going to be on my side and what I’m going to do is I’m going to do something to get it to your side. If this ping pong game is too fast, what I’m going to do is I’m going to use strategies to slow it down. So what I want to do is I want to have a communication, an interaction where there’s an in-sync, contingent, back-and-forth interaction that’s at a level that’s comfortable for both of us: you’re not excited, I’m not excited; I’m not feeling like I want to take a nap, you’re not feeling like you want to take a nap. So what I’m doing is I’m monitoring you, and you’re monitoring me, and we’re realizing that everything that you do affects me, and everything I do affects you. So that’s the co-regulation. We want to have a smooth interaction rather than a racing interaction or boring interaction, and the only way that I can do that is by monitoring you, and you monitoring me. A huge thanks to Dr. Glovinsky for his wonderful insights and for taking the time to share them with us! Hear more from Dr. Glovinsky in his Facebook videos. Next month we will begin our Back-to-school series of posts starting off with a feature about Soaring Eagle Academy just outside of Chicago. If you found today’s post and/or podcast helpful and interesting, please Share it below on Facebook and/or Twitter. If you have any constructive comments or stories about your own related experiences, please Comment below. Thank you!